Editor’s note: I am judging this competition, so you will be tasting the same wines I judged. Also, you can get $50 off with the code EVESWINE here. 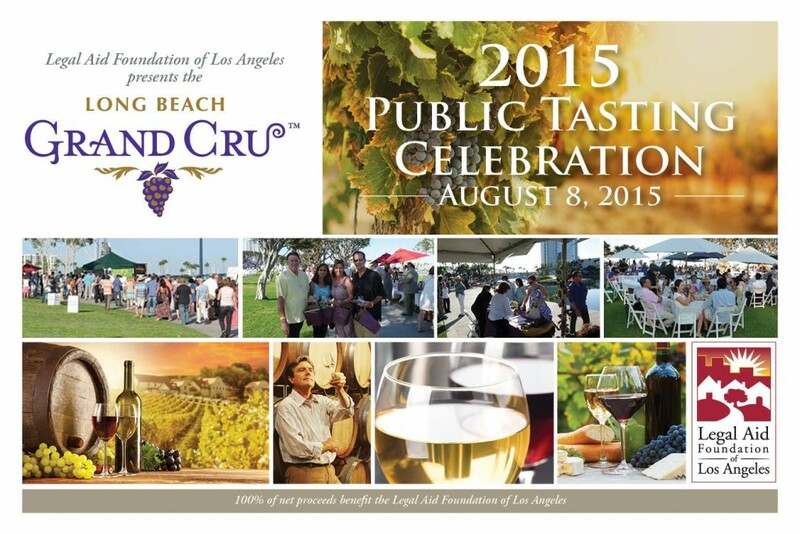 LONG BEACH, CA – July 2015 — The Long Beach Grand Cru, the country’s only non-profit wine competition, benefiting Legal Aid Foundation of Los Angeles and its partnership with The Children’s Clinic in Long Beach will celebrate its 21st anniversary in a new location — the lush 87-acre South Coast Botanic Garden, with an evening of wine, food, one-of-a-kind silent auction and live music on Saturday, Aug. 8 from 6 pm – 9 pm at 26300 Crenshaw Blvd. in Palos Verdes Peninsula. Since its establishment in 1995, the Long Beach Grand Cru has become one of Southern California’s most popular wine and food tasting events featuring over 1,000 wines from more than 300 international & domestic wineries with unlimited pours, and tastings from 25 regional restaurants. This year’s Grand Cru will raise funds to benefit LAFLA’s Greater Long Beach Community Medical-Legal Partnership. In 2014, the public tasting attracted more than 1,200 attendees and helped raise more than $300,000 to support LAFLA’s frontline law firm services for poor and low-income people in Long Beach. Since its inception in 1995, the Grand Cru has raised over $3.9 million to support LAFLA’s services in the greater Long Beach/Harbor area and across metropolitan Los Angeles. This year’s competition will feature all styles of wine from domestic and international vineyards. Medals are awarded to winners in the following categories: Chairman’s Best of Class, Gold, Silver, Bronze and Sweepstakes. 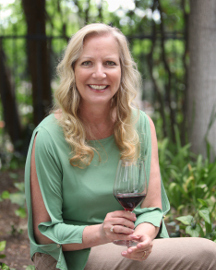 “The Grand Cru is the only event where wine enthusiasts and wine collectors can together change the lives of thousands of poor people who turn to LAFLA when they need legal assistance for a crisis that threatens their shelter, health and livelihood,” said Silvia R. Argueta, Executive Director of LAFLA. Event sponsors include: Parallel Capital Partners; Singer Lewak; Adelson, Testan, Brundo, Novell & Jimenez; Bob Gold & Associates; Knobbe, Martens, Olson & Bear LLP; Pierry & McAdams LLP; Stephen Brickley; Law Office of Alexa Socha; Laura M Wilson & Associates; Ensemble Investments; Grace McAdams; Law Office of Cantrell Green; Lynn Etkins; Norm Wilson & Sons; Silvia Argueta; Tran Law Group & Courtland Palmer; Watson Land Company; Windes, Inc.; California United Bank – 1st Enterprise Bank; Christopher D. Baroni; Samuelson, Gonzalez, Valenzuela and Brown LLP; Stolpman Krissman Elber & Silver LLP. This is the frontline law firm for poor and low-income people in Los Angeles and Long Beach. Since 1929, LAFLA has been committed to changing the lives of families and the community through direct representation, systems change and educational programs. LAFLA and The Children’s Clinic in Long Beach, a community health center dedicated to serving medically underserved, low-income communities, have partnered to create the Greater Long Beach Medical-Legal Partnership. The partnership fosters family safety, stability, and positive health outcomes for adult and child survivors of domestic violence through coordinated medical, legal, and social services. This collaborative approach, combining the skills of attorneys, medical professionals and social workers, allows the two organizations to provide a holistic response to the complex needs ranging from survivors of domestic violence to being a low-income patient. Tickets and additional details for the event are available online at www.longbeachgrandcru.com or by calling (213) 640-3894. Panel l to r – David Stevens, Joe Hart, Stephen Young and Mike Stepanovich. My assigned panel was led by David Stevens (Senior Wine Consultant, Davon International), and included Joe Hart (Hart Winery), Mike Stepanovich (Wine Journalist, Bakersfield, CA.) and Stephen H. Young (graduate of the American Wine Society Wine Judge Certification Program). These knowledgeable gentleman, and the wine, made my nervousness fall away pretty quickly. Soon we were moving at a good pace. At the end of each round, ranging from 6 to a dozen separate tastes, we discussed our findings and came to a consensus if a wine received no medal, bronze, silver or gold. 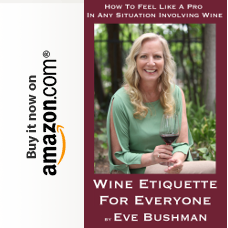 There was so much thought and consideration in awarding each medal it made me pause, how often do you pause and consider buying a wine based on a medal? Do you consider it as much as you do a wine with a high numerical score? You are doing wineries a disservice to only consider one ranking body, in my now-educated opinion. 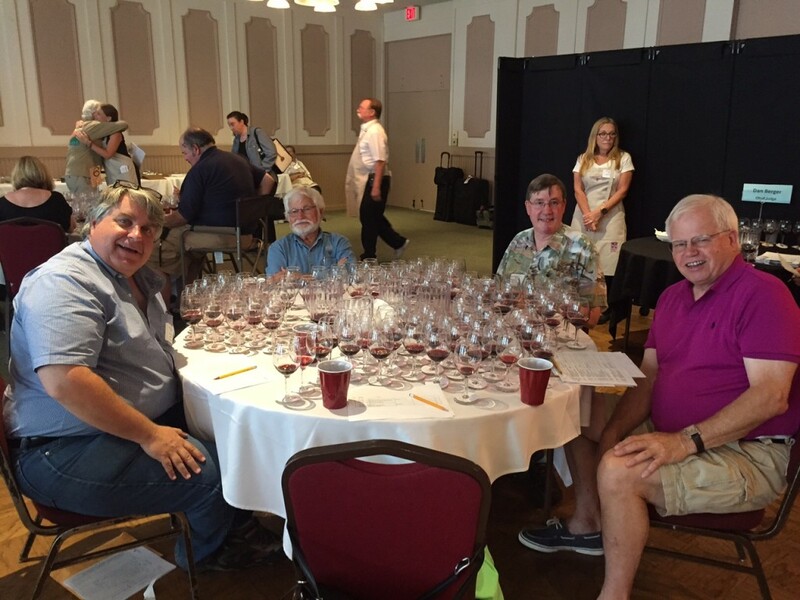 Each panel, there were 26 judges in all, had nearly 100 wines to judge on the first day, about half that they second, and finally did a round of sweepstakes “sweeps” to determine which of the Gold medals were all-around favorites of all the judges. 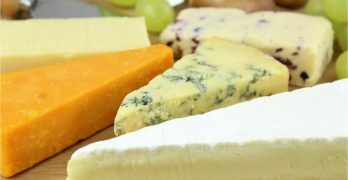 Many of the entries and winners came from small producers outside of California. Made me think that a small producer making good wine should definitively enter the Long Beach Grand Cru. Day 1 closed with a wonderful dinner and unlimited wine tasting (wines from the day and more) at Parker’s Lighthouse. Our private room was full and during the first hour or so many of the judges, Long Beach Grand Cru Board of Directors members and volunteers spilled out into the patio for a view of the Queen Mary.